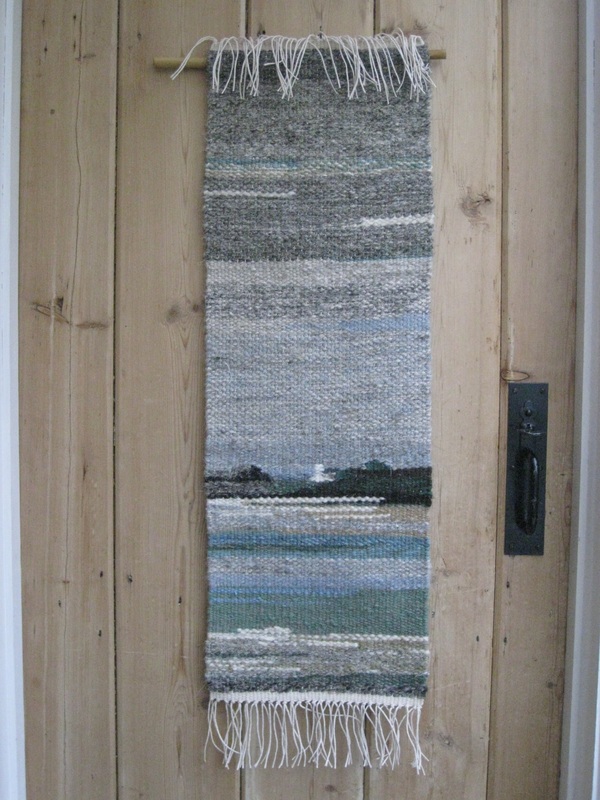 I approach the preparation of an art weave as I would an impressionist oil or watercolour painting but instead of mixing colours in the palette, I blend and sometimes dye yarns before I spin them to achieve the shades I need, having firstly chosen the fleece and the correct breed of sheep to suit the end result. Only hand spinning, as opposed to machine, can create the texture I seek. 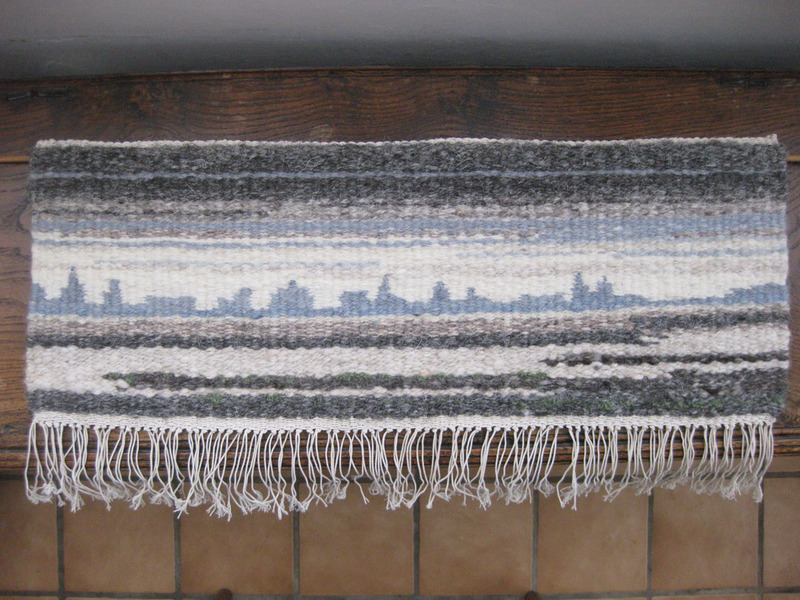 Design inspiration may come from the Cotswold landscape around me, seascapes and many other sources. Perspective is treated as importantly as in a painted picture. 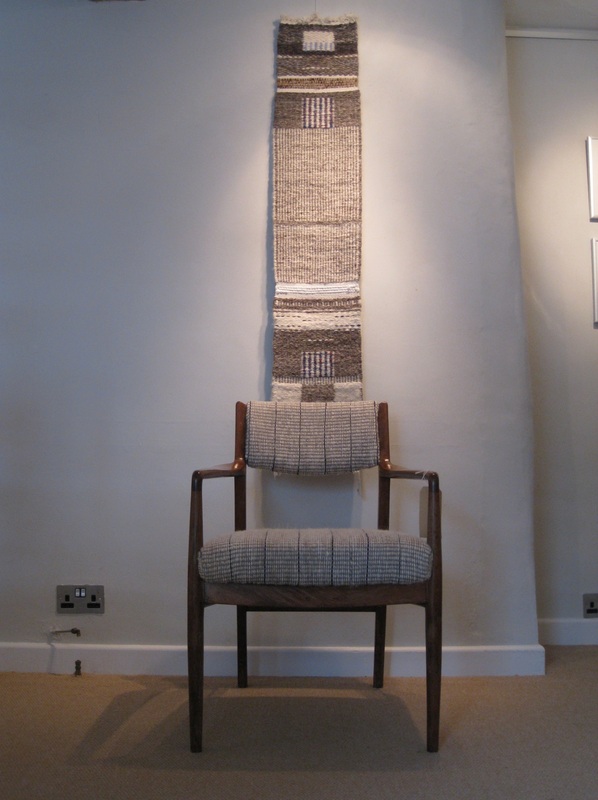 The intention is to interpret the design not too rigidly and by using a part-tapestry, part-traditional weaving method on my Harris floor loom. 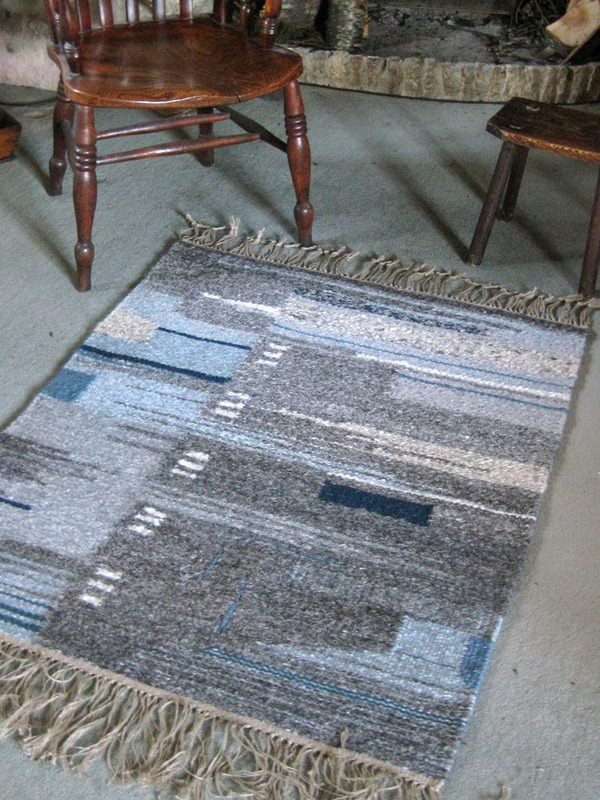 A rug can ‘make’ a room and give it a special character. 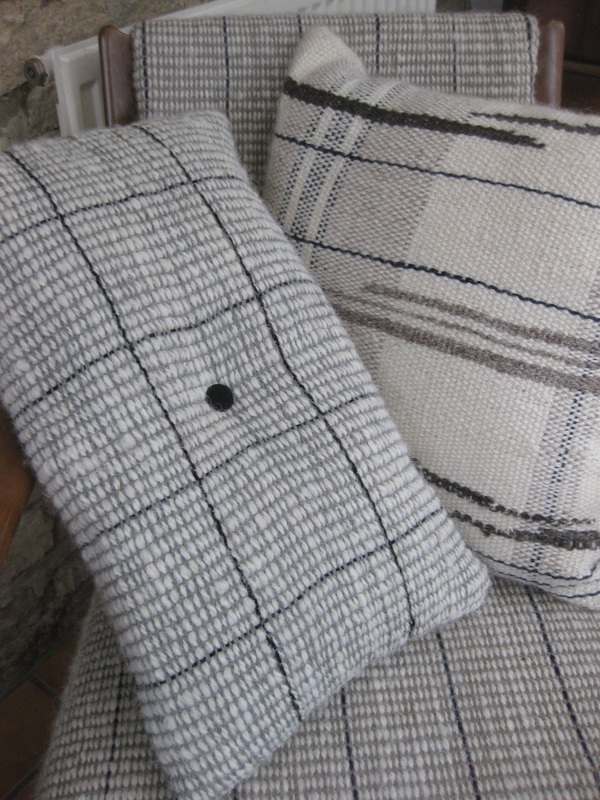 Wool is also a good choice for its natural fire and stain resistant properties. If a flock owner commissions work from his or her own sheep, this can be a very personal family keepsake. My full range includes home furnishings, scarves, greetings cards and other gifts. 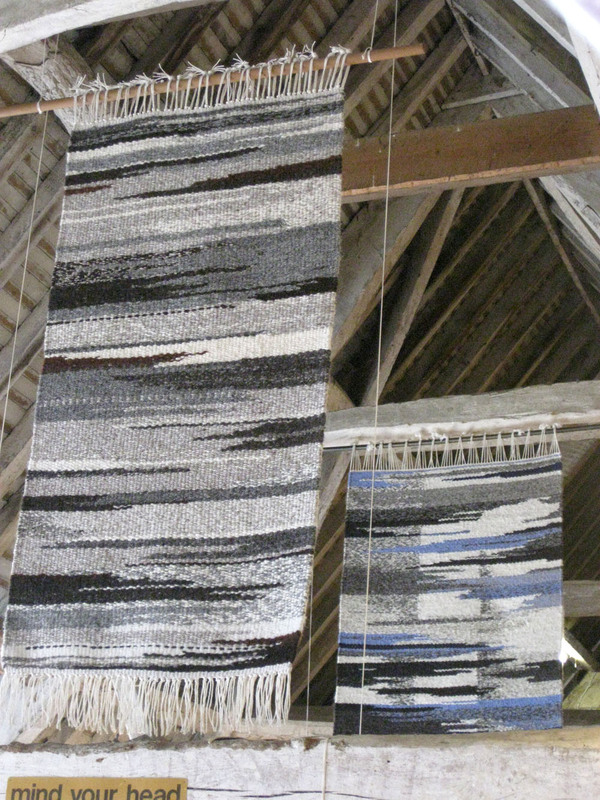 I also provide workshops at Cogges Manor Farm in Witney as resident weaver.